Sheila’s mother joined us for a few weeks and this weekend Tim and Liz are also visiting. The weather continues to be warm and sunny. 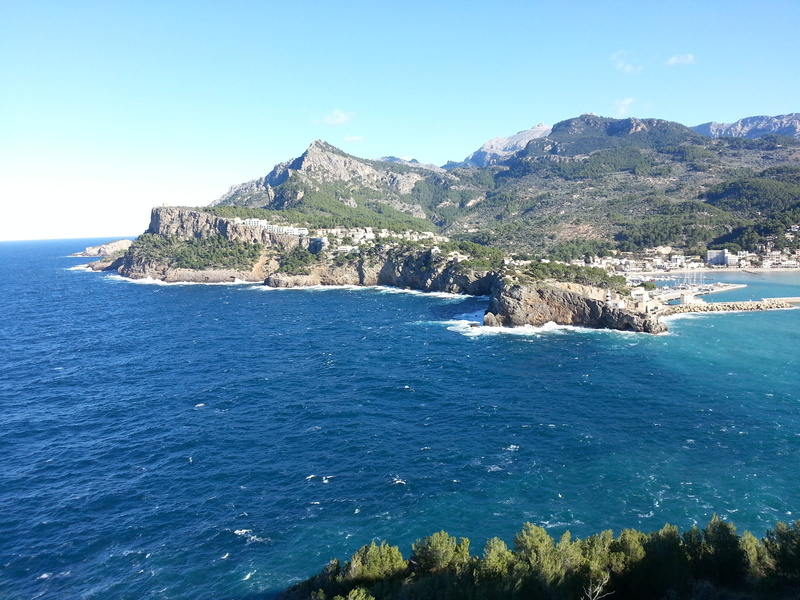 Today we went to Port Soller for a hike and lunch. 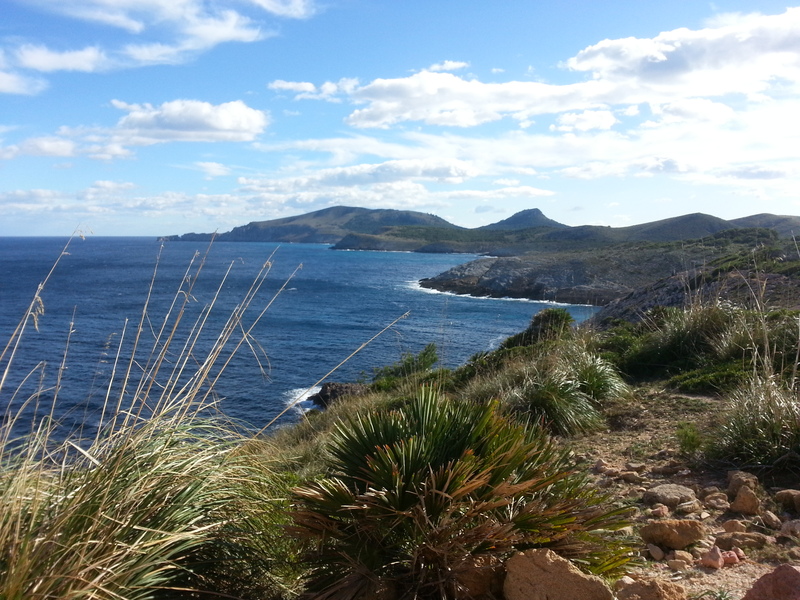 Today was cool, but very sunny so Sheila and I went for a hike around the Cap Ferrutx area. 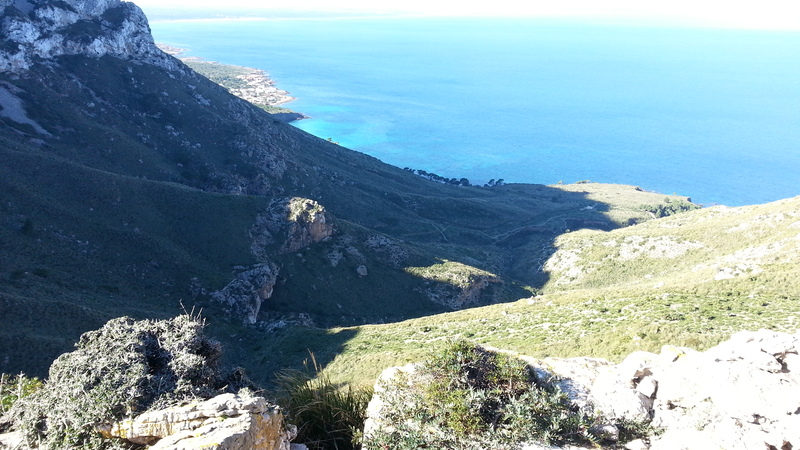 Fifteen kilometers and 800 meters altitude difference, so we are a little tired now. Tomorrow is only golf and Spanish lessons. We are back in Mallorca and yesterday a cold front made its way across the island with heavy rain showers and a lot of wind. Today it was sunny again, but still very windy. The top temperature was only 7 degrees however, and up in the mountains it was very cold. 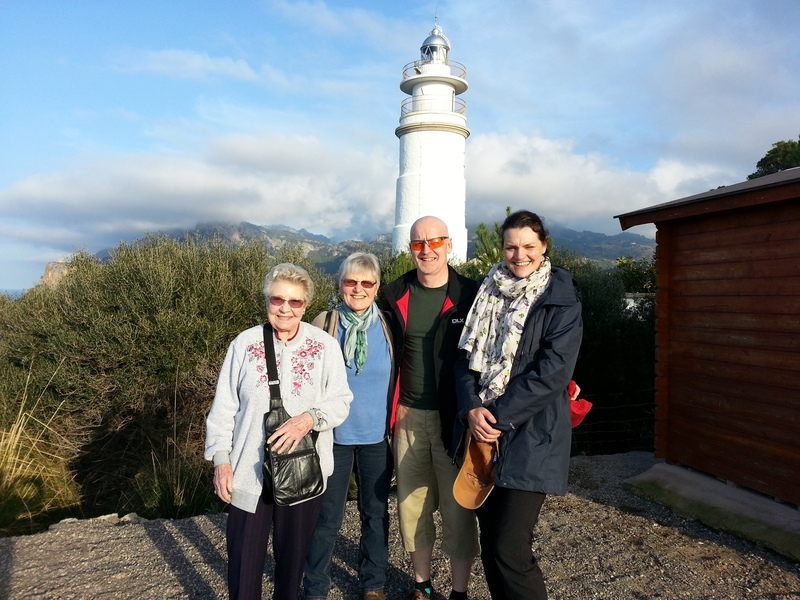 We went for a nice walk around the village of Fornalutx, and then on to a great Restaurant in Port de Soller. 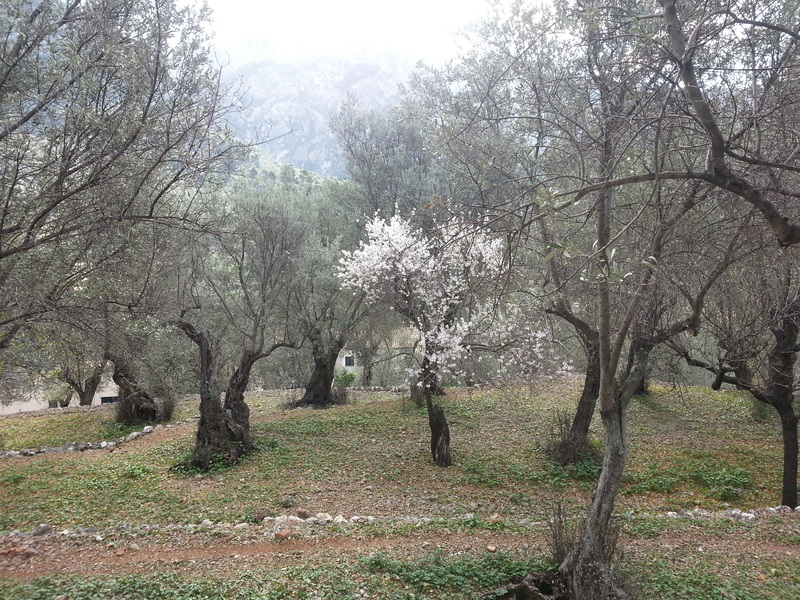 The first almond blossoms are out, and some people say that the cold weather will bring out the full bloom soon. We are in Manchester for a few days, great fun with the kids and grandchildren. 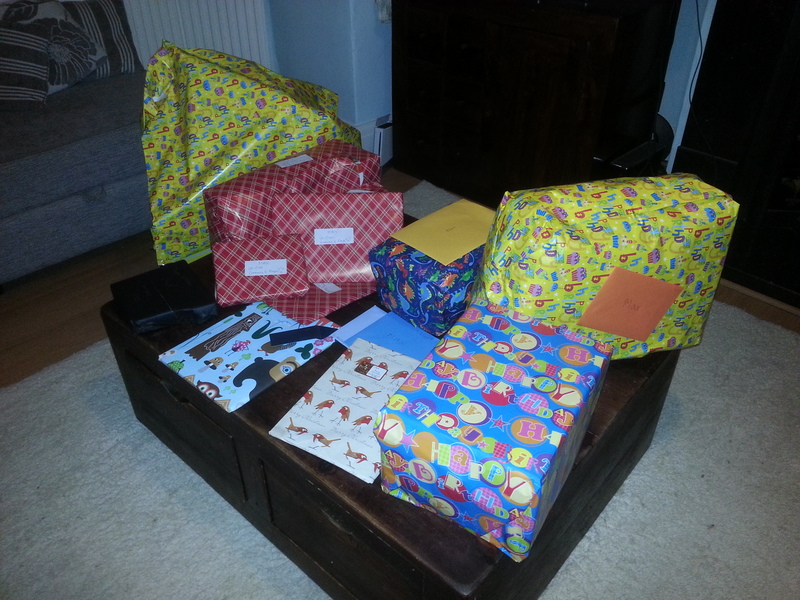 Tomorrow Max turns two and a lot of presents are waiting for him. After a few cloudy days, today was very windy but also very sunny. 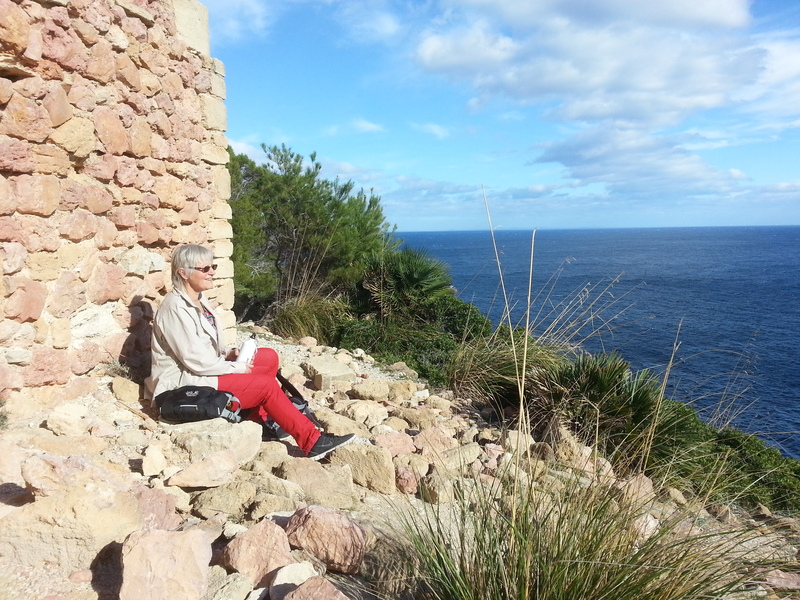 We went to one of our favorite hikes to the Northeast of Mallorca, to Cala Estreta, from where we hiked to the old pirate watch tower of Albarca. Beautiful views and a short, but great hike.